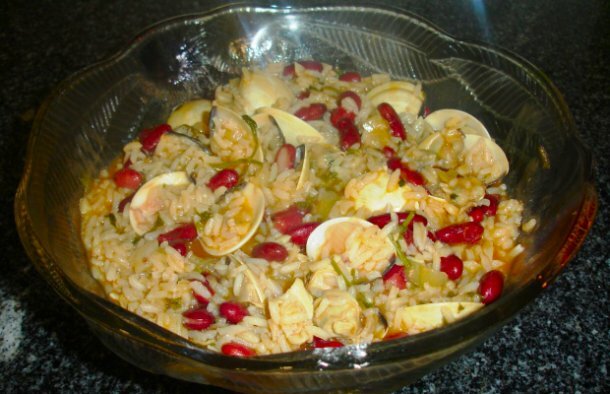 This great recipe for Portuguese bean rice with clams (receita de arroz de feijão com amêijoas) is delicious and makes a great lunch. Place the clams in salted water to loosen the sand and let it stand for about 2 hours. In a pan, add the clams (drained and washed) and add the wine. Cover the pan and cook until the clams open. Remove 3/4 of the clams from the shell and put the others aside, also put the broth aside. 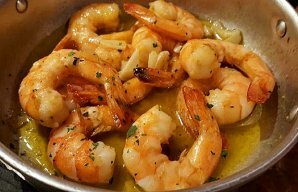 In another pan, add the olive oil, the onion and garlic cloves (both chopped), and cook until golden brown. Add the tomato paste, the broth from cooking the clams and the chopped parsley. Then, add the 2 cups of water and bring to a boil. When boiling, add the rice and season with salt and pepper. When the rice is almost cooked, add the beans and the clams with shell and without. 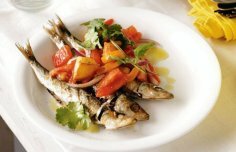 How to make Portuguese grilled sardines with salad. 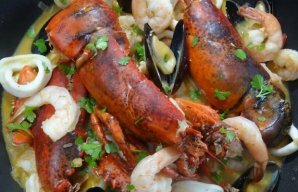 This Portuguese shellfish stew recipe creates a very rich and flavorful dish.